Postcard with postmark July 1956. 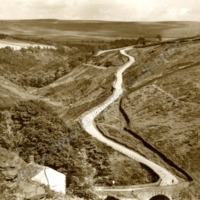 Shows Widdop Road coming down from Heptonstall Slack to the bridge over Alcomden Water. 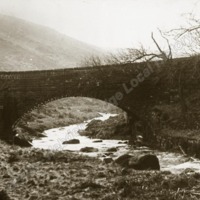 The bridge carrying Widdop Road over Graining Water just before its confluence with Alcomden Water to form Hebden water. 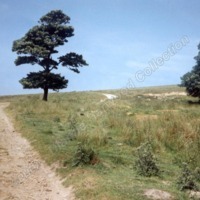 Historical OS maps refer to the area as Black Dean and today it is a famous local beauty spot and picnic site.. 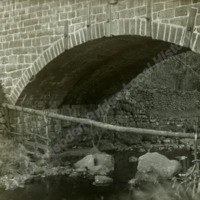 The underside of the bridge carrying Widdop Road over Graining Water. Historical OS maps call the whole area Black Dean.